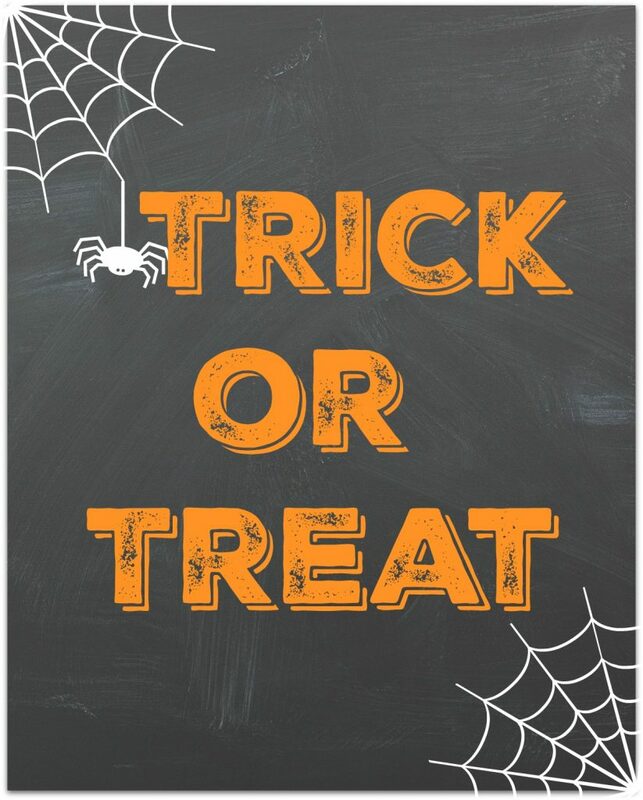 This simple Trick or Treat Chalkboard Printable is perfect by your front door for Halloween. This is the 10th Printable in the 31 Days of Free Printable series. I hope you’re enjoying these free printables so far. I like this simple Trick or Treat chalkboard printable because it can fit into any Halloween decor no matter how tame or spooky. It would even be cute framed and hung on the front door instead of a wreath. Just add ribbon to the back of the frame and hang from a hook.